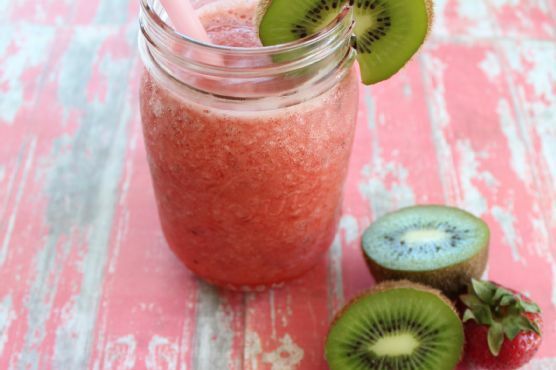 Add the strawberries and kiwi to a blender with sugar, water and lemon juice.Blend for 30 seconds. Add the ice and blend for an additional 30 seconds or until the ice has been crushed and a slush consistency has formed. Cream Sherry, Moscato d'Asti, and Port are my top picks for Slush. A common wine pairing rule is to make sure your wine is sweeter than your food. Delicate desserts go well with Moscato d'Asti, nutty desserts with cream sherry, and caramel or chocolate desserts pair well with port.